These modern conveniences are the result of indoor plumbing systems. Although the setup of water pipes may seem simple, your house has several separate plumbing systems that serve. Rust and corrosion along with ground shifting or digging are the main causes of leaks and clogs. Tree roots can also force their way into a plumbing pipe to get water. There is no real way to prevent these types of problems except to make sure to replace the pipes when they get old. Most people are familiar with plumbers because they've needed them to their home to unclog a drain or install an appliance. You can save money on plumbing by reducing the need to call a plumber. You can do this by understanding the most common plumbing repairs we make. The most common problems have to do with drains. Most often, homes have one or two problem drains with several that never need any attention at all. If your plumbing fixtures drain slowly, the problem may be a clogged vent. This happens when sewer line ventilation pipe are improperly located and when birds or animals deposit debris in the vent where it exits the roof. Another issue could be the build up of grease inside the pipes. You should never put fats, oils, or grease down the drain. Have your drains hydrojetted by a professional plumber to solve any clog problems for the long-term. Another common plumbing problem is when hair gets trapped in some sort of screen or drain cover. It's much easier to prevent the hair problem than it is to deal with a clogged pipe. There are hair traps that can be put in place to protect the sinks, tubs, and showers of your home. Fixing frozen pipes can get expensive. You can prevent the problem by making sure that all your pipes which are exposed to the cold are well insulated. 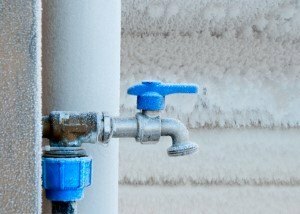 As the weather starts to turn colder, make sure there is no water left in the outdoor pipes and store hoses for the winter. Wrap any pipes on the inside and outside that are exposed to the cold. If you are looking for plumbing repair services around Manteca California, then please call 209-834-0173 [Manteca], 209-576-1617 [Modesto], 209-835-3114 [Tracy], or 209-462-3735 [Stockton] or complete our online request form.